I just attended a big beautiful wedding! Weddings are such glorious celebrations — so many thoughts and emotions go through you. I was remembering when I spoke these words 38 years ago and wondered just how well I have done on keeping my promise, especially on the honoring part. What does it mean to honor someone? It’s not unheard of for a group of men or women to sit around and bash their spouses. But dishonoring will break down and kill a marriage. Dishonoring can be in our thoughts, words, and actions. Honoring your spouse, however, involves speaking highly of them to others. Honoring is a gift that we need to protect and strive for all our married lives. I think it is helpful to make a list of qualities you respect or admire about your spouse. (Please don’t say there are no good qualities since there must have been something you saw in this person that moved you to marry him or her). As you make your list, go back over it and thank God for those good qualities. Then thank your spouse. Saying words of thanks to our spouse is life-giving and should be in our daily living. This is a way of honoring each other. It conveys to each other worth. When we get rid of the negative, we can start seeing the good. There cannot be room in marriage for considering our spouse worthless, treating them with disrespect or disgust. It will drain the joy and life out of your relationship. We all fail and make mistakes each day. We are human. But that is not what will slowly kill your marriage. Rather, it is the daily resentment, disgust or devaluing of the other (in other words, the lack of honor) that will do your marriage in if you let it. Every couple is different but note what makes your spouse happy. What does your spouse find rewarding? Then look for daily ways to please your spouse even when you are not in the mood. These are good practices that can become good habits which in turn build happy and healthy marriages. Our culture has programmed many to think marriage isn’t worth it, and that it certainly doesn’t work until “death do us part.” I don’t buy that one bit. Marriage is a gift of God elevated to one of the seven sacraments. It’s a wonderful way for us to grow in self-denial and agape love which involves a whole lot more than just emotions. Jesus is always ready to help us and we need to call on him and on the grace of the sacrament. Mike and Mary Ann at their wedding. Personally, marrying Mike is the best thing I ever did. We’ve had good times and bad times (as the vows say) in our years together. We have grown in self-denial, patience, thanksgiving, etc. 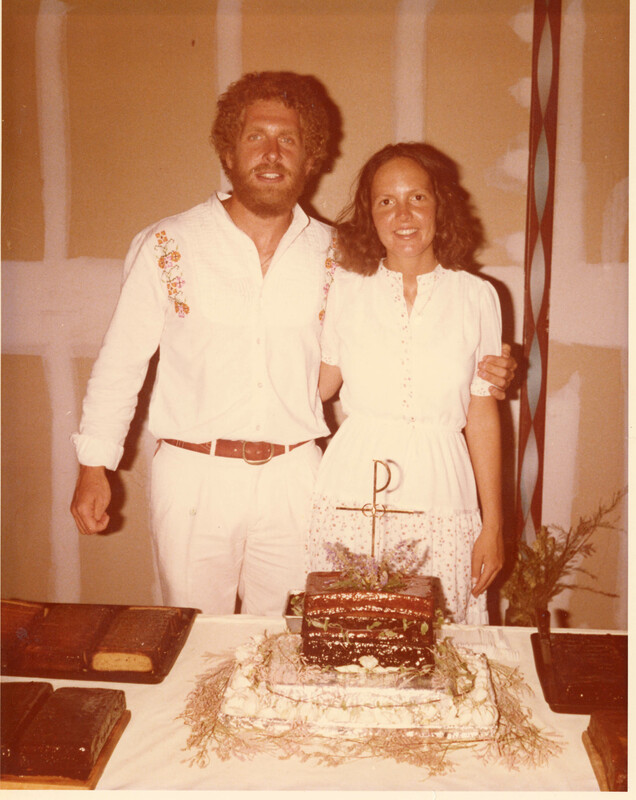 We are not perfect, of course, and have made mistakes, but our marriage is a lot richer and deeper now than it was 38 years ago. 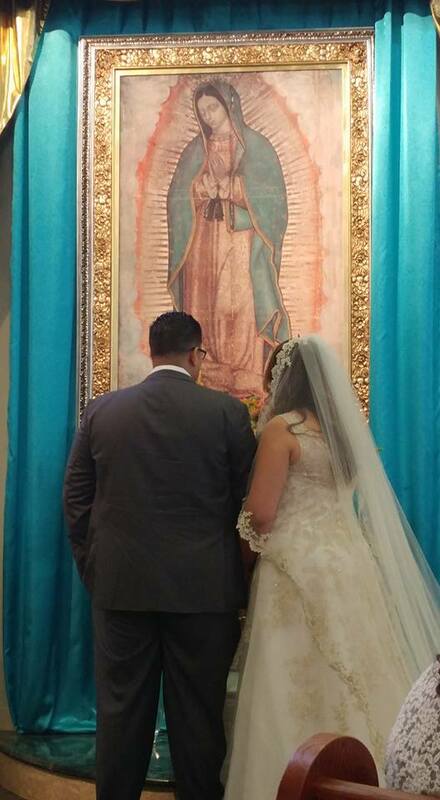 Weddings are a good time to renew our own vows and remind us of the promises we made to each other at the altar. Take the time to nurture your marriage with honor, and see if you don’t fall in love all over again. God makes all things new! Honor….How can I honor my spouse today?